One of the best ways to advance your mission to becoming the healthiest, happiest person you can be is to assemble support. Whether to get you moving your body, keep you eating better, make you more comfortable and skilled at eating whole foods plant based – girding your loins and fanning the flames of inspiration will substantially advance your journey. Always on the lookout for bringing you tools to advance your own journey, let me introduce to you Howard Jacobson’s Plant Yourself Podcasts. 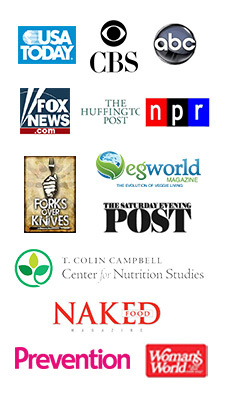 You may recognize Howard as the co-author of WHOLE: Rethinking the Science of Nutrition, with T. Colin Campbell, author of The China Study, write his latest bestseller. You’ve met Howard before, right here at the Journey blog. Not one to polish his own badge of accomplishments, if you dig around on the Plant Yourself website you can unearth Howard’s impressive credentials and accomplishments. 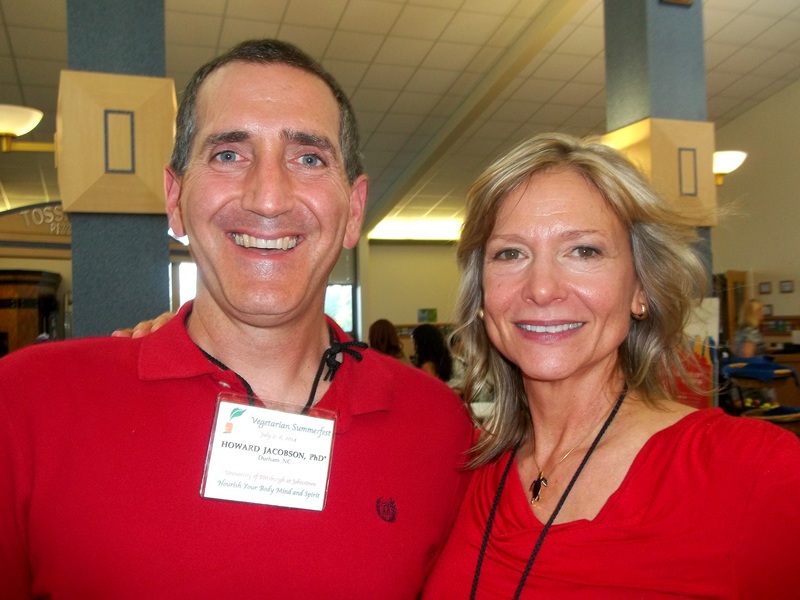 Howard is also a skilled and highly sought after marketer, consultant, and performance coach. A marketing consultant since 2001, Howard has written three editions of Google Ad Words For Dummies, spoken at many international conferences, and in 2014 was named one of the 50 most influential online marketers by Entrepreneur magazine. He’s also an ecological gardener – and creator of the Plant Yourself blog – and podcasts. If you haven’t already dived into this unmined gem, you are in for a treat. In the Plant Yourself Podcast archives you’ll discover dozens of interviews with inspiring and knowledgeable experts, movers and shakers who are making the world a much better place. This week I had the honor of being Howard’s Plant Yourself Podcast guest. 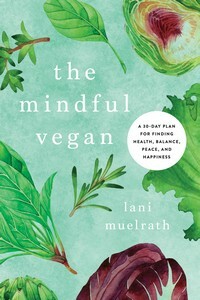 Officially titled Plant Yourself Podcast 87: Lani Muelrath on Exercise and Other Fuels for the Plant-Based Journey. As all of the Plant Yourself podcasts, my conversation with Howard this week can be played right on the page or downloaded for listening at your convenience. Pop over to Plant Yourself podcast #87 and tune in now or download for later listening. Then, take a look around and mark other podcast gems you’ll find there too: Conversation with Susan Levin, RD, director of nutrition education at PCRM, Julieanna Hever, the plant-based dietitian, and a whole fleet of other fascinating peeps and topics. I’m very excited to announce, as you’ll see announced on the podcast page, that I have the distinct honor and privilege of having Howard Jacobson and T. Colin Campbell contributing the Preface to my new book, The Plant-Based Journey: A Step-By-Step Guide for Transitioning to a Healthy Lifestyle and Achieving Your Ideal Weight. Just got your newsletter and came right over to read the article – I’m going to download the podcast to play this afternoon. It looks like a really interesting interview and I can’t wait to hear it. And thanx also for featuring the pypodcasts, it looks like he has so many really interesting interviews on his website. This is great! What an announcement too – about the preface of your new book. Congratulations! Thanks for the speedy response! I’m glad this looks interesting to you and can’t wait to hear how you like the podcast! Howard does have an astonishing inventory at his blog and I keep finding new nuggets to download and play on my ipod when traveling – it’s when I catch up on my audios. Thanks for your post today! What great news. Looking forward to listening. When will the book be available? I so appreciate your note! 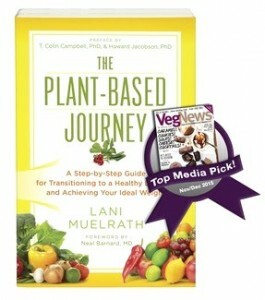 Plant-Based Journey is now up for pre-order on Amazon – even though we don’t yet have a cover! Official release date – September. I hope you enjoy the podcast! How did our paths cross, by the way? Always fun to find out! That’s awesome news, Lani! Looking much forward! Besides diet, exercise plays such an important role in our overall health & wellbeing! Thank you Nina! So glad to be on this journey with you – and to have you in the book! Yes, it all goes together – the food, the fitness, and the frame of mind. I really enjoyed the pod cast!! As usual a lot of wonderful information that people can start utilizing in their lives immediately. Can’t wait to read your book. Debby, I love that you say that! “that people can start utilizing immediately”. Yahoo! Can’t wait for Journey to be in your hands either! Thanks for the plug, and of course for being such a generous and brilliant guest! Howard, I love your podcasts and am thrilled to be a part of them whenever I can. Anything for the cause and thanks for being such a positive force for change. As for the humble – it’s when we forget that not a one of us has a lot to be humble about that we get into trouble. I stand by my comments my friend!